Looking towards Lavagh More from the slopes of Ardnageer SW Top. 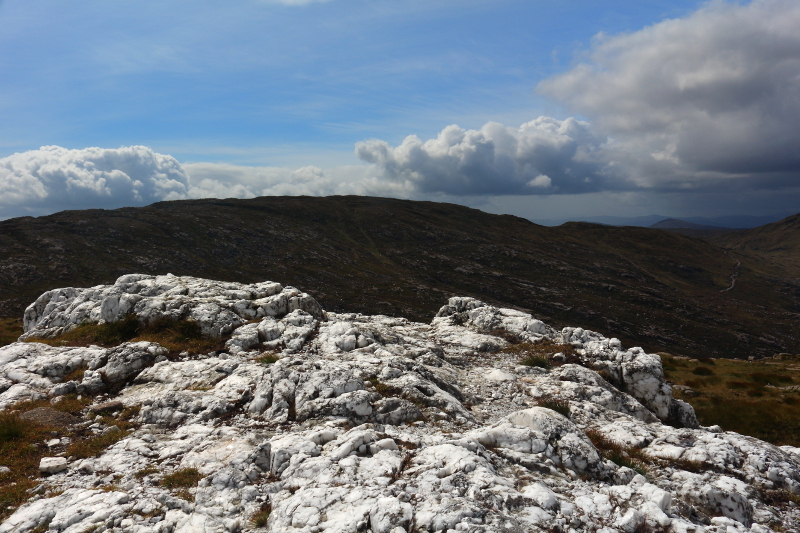 I was off on a walk along the main Bluestack ridge, taking in Ardnageer, Ardnageer SW Top, Croaghgorm and Lavagh More. 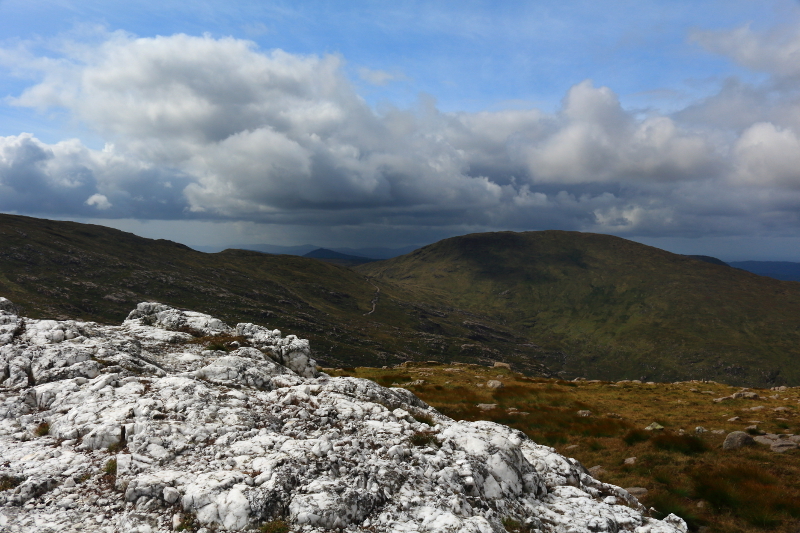 I had omitted Croaghbane as I had been on that summit before, and I felt the walk was long enough for me without it! 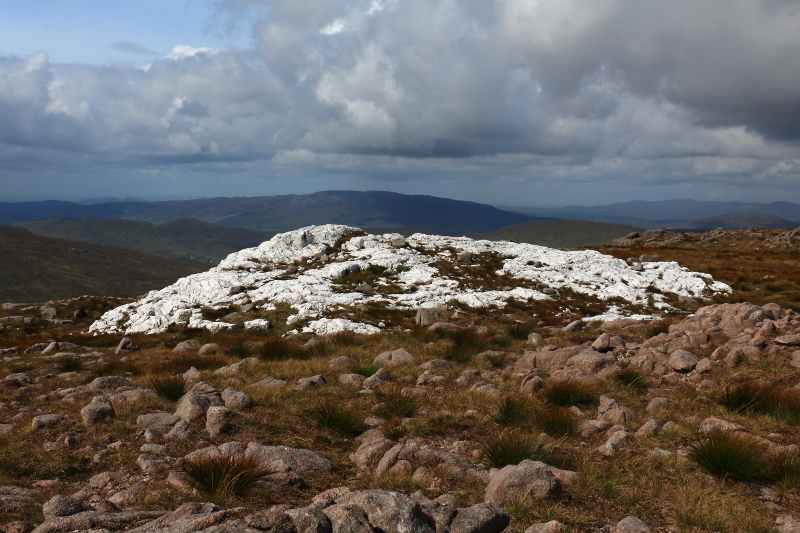 In my previous post, I described the walk up the slopes of Glascarns Hill, and cutting across the face of Croaghbane to scramble up on to Ardnageer. 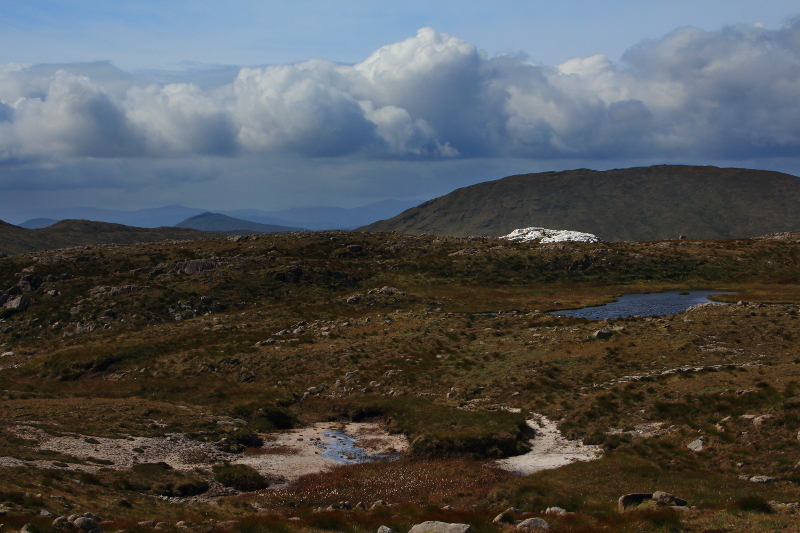 It was a short walk from Ardnageer along the broad top of the ridge, over rocky terrain and winding through bog pools. 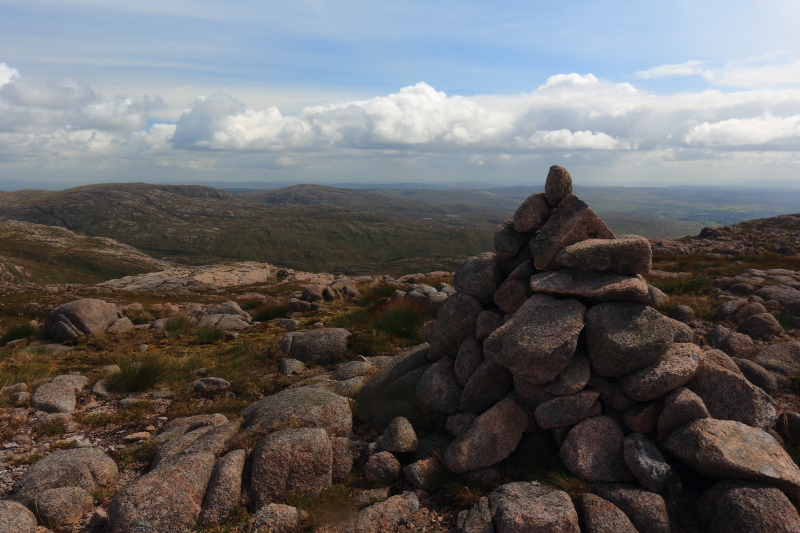 As I approached Ardnageer SW Top, the hard to discern summit became more obvious, marked by a little stone cairn. 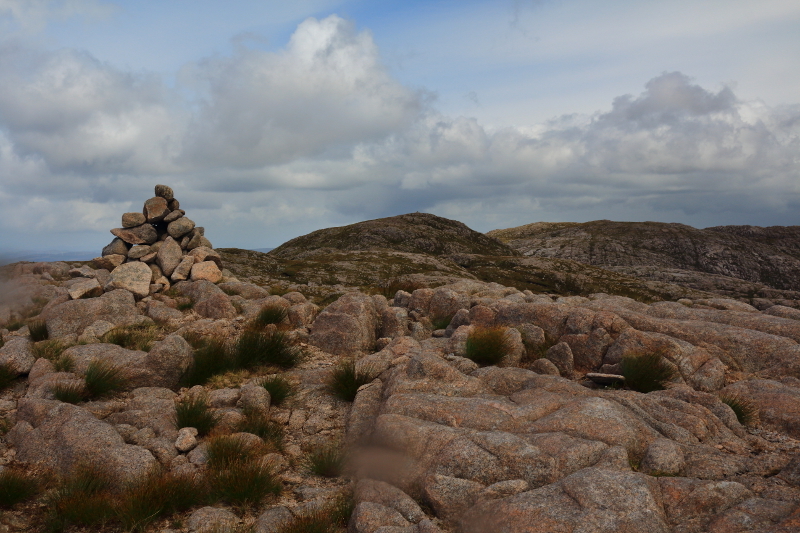 Ardnageer SW Top summit cairn, with Ardnageer in the centre of the frame, and Croaghbane behind. 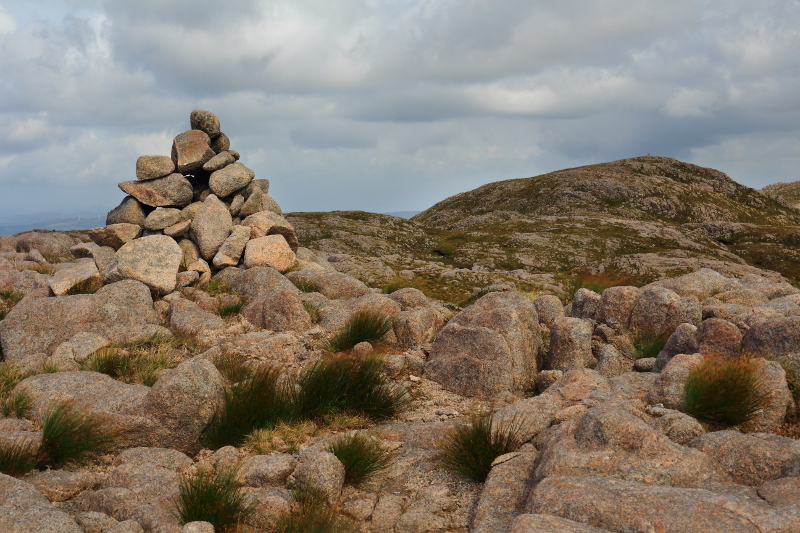 Summit cairn with Ardnageer in the background. 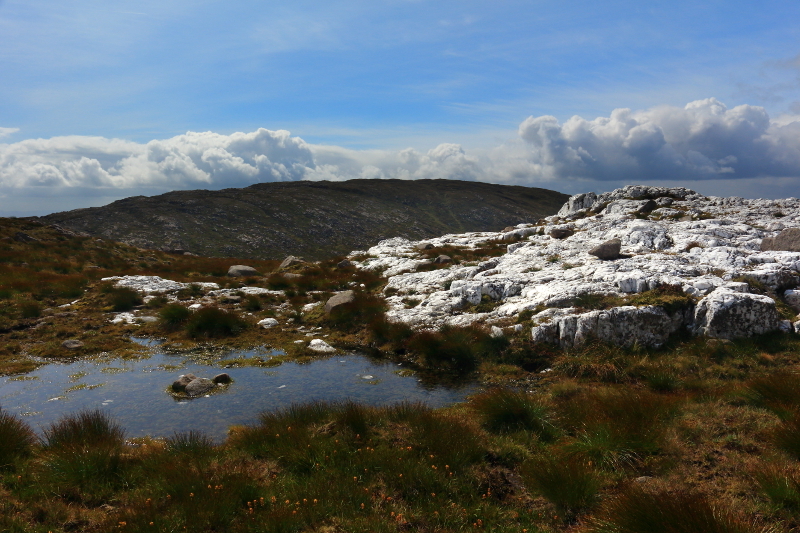 Looking towards the southern Bluestacks. 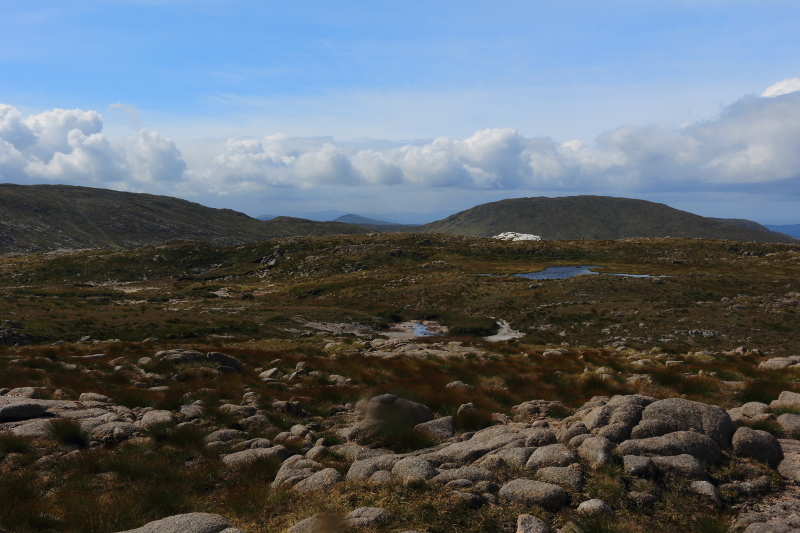 Having taken in the views from the summit, I now turned my attention to an interesting diversion on its northern side. 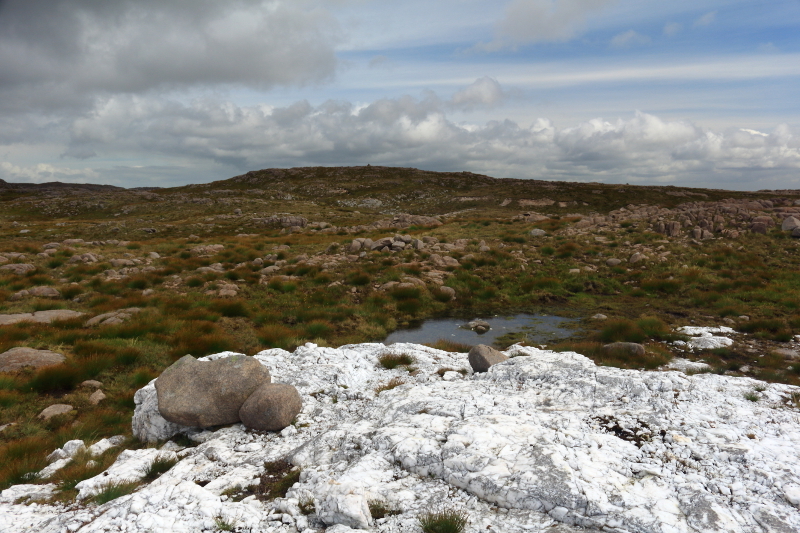 There is a huge quartz mound there, clearly visible from a distance, shining in the sunlight. 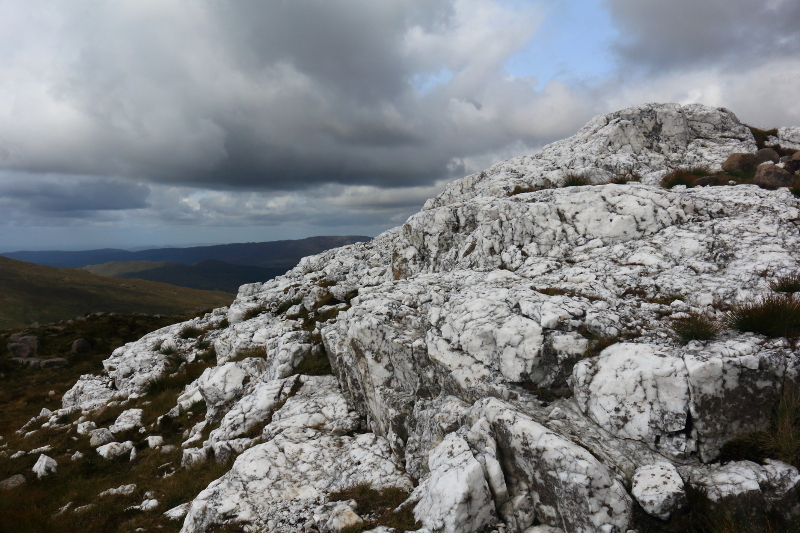 It wasn’t far off, barely taking me away from the direct route to the next summit, Croaghgorm, so I made directly for it to investigate before continuing. 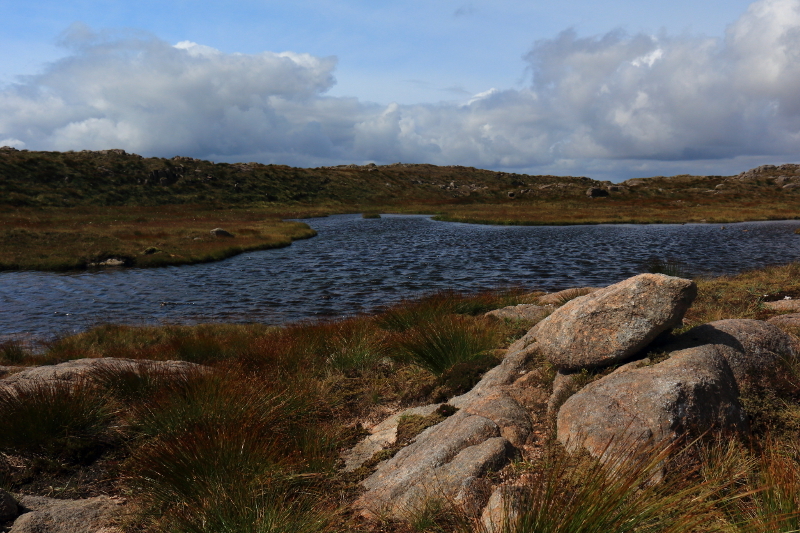 On the way over to the quartz mound past one of the little loughs. 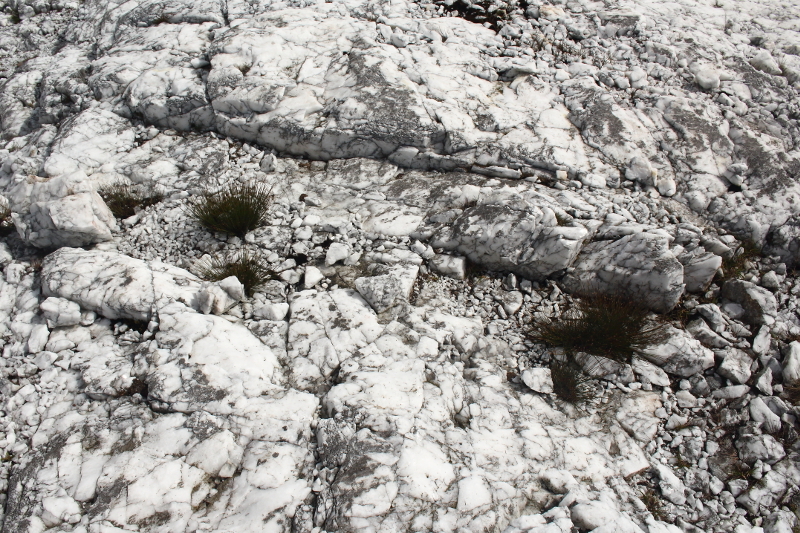 Arriving at the mass of quartz, I had never seen anything quite like it on any other mountain. It really caught the sunshine, and I spent quite a while walking around and over it, taking many photographs which I’m afraid you about to find out. 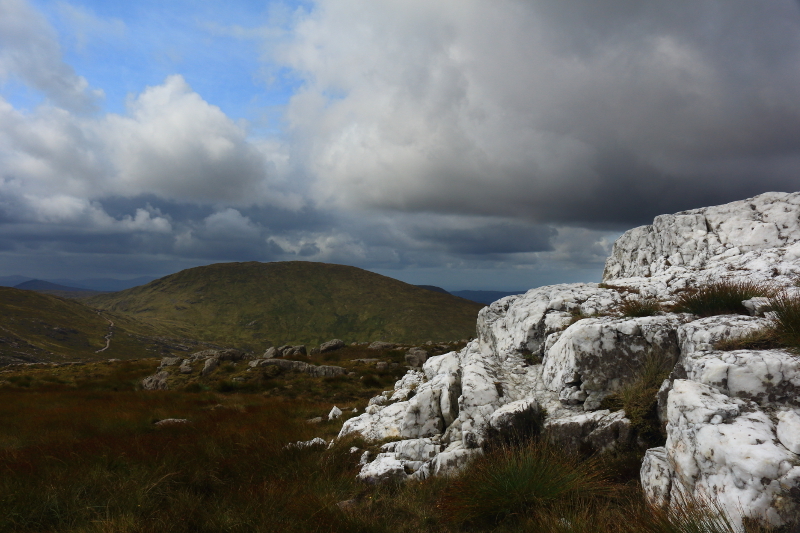 Next target, Croaghgorm, in the background. 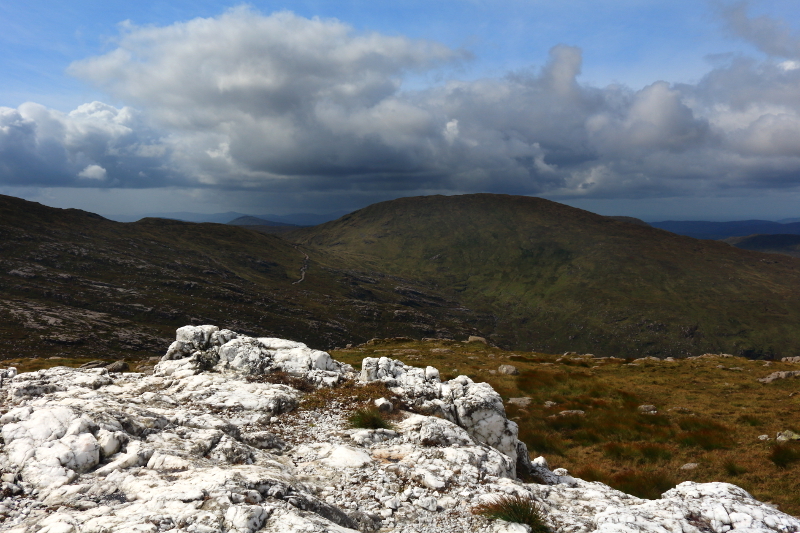 Croaghgorm, sloping down on the left, to Lavagh More, which was also on my itinerary. 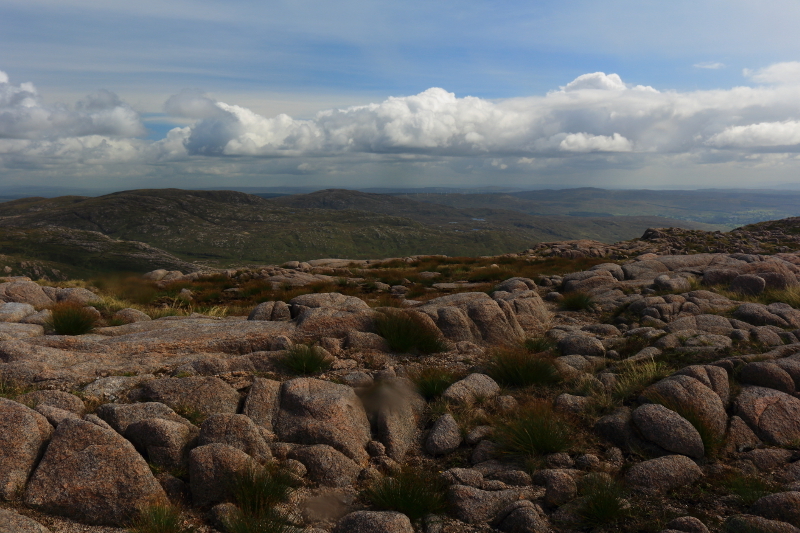 Looking back to Ardnageer SW Top summit not far away. 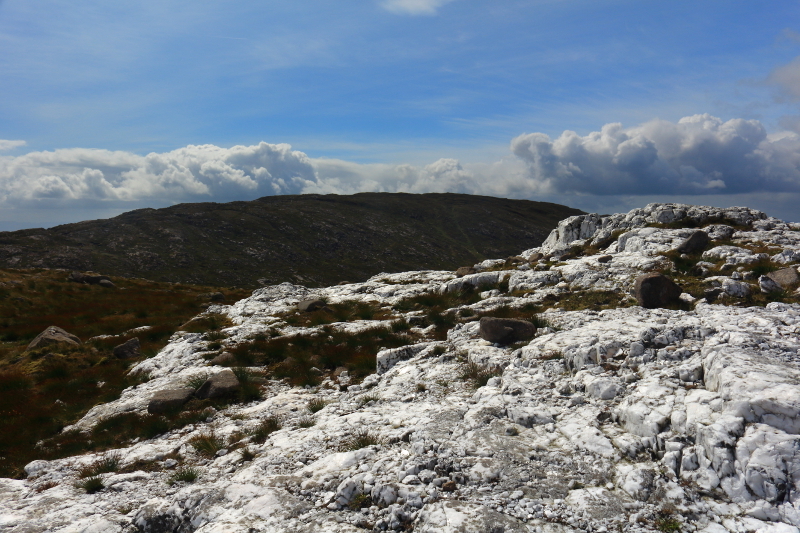 I spent a long time here, and eventually had to push on as I still had a lot of walking ahead of me. 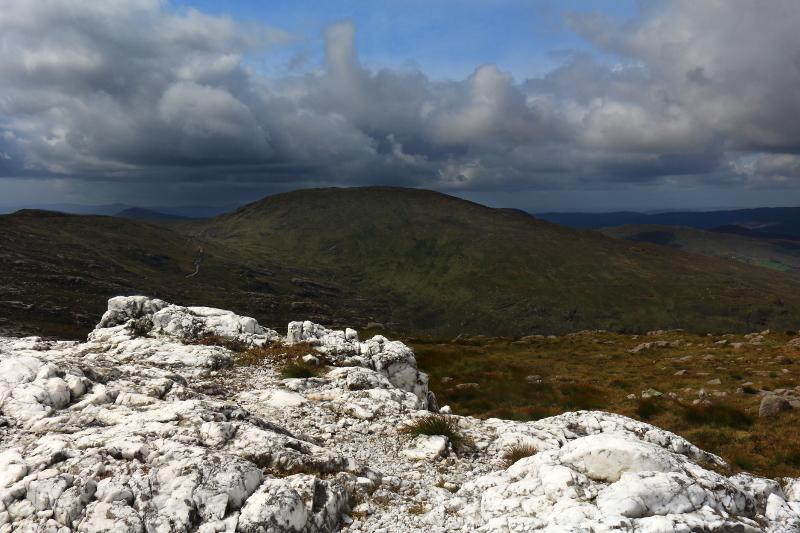 The next step was to drop down onto the col between Ardnageer SW Top and Croaghgorm and make my way on to that mountain, the highest in the Bluestack range. I will continue the account of the walk in the next post. 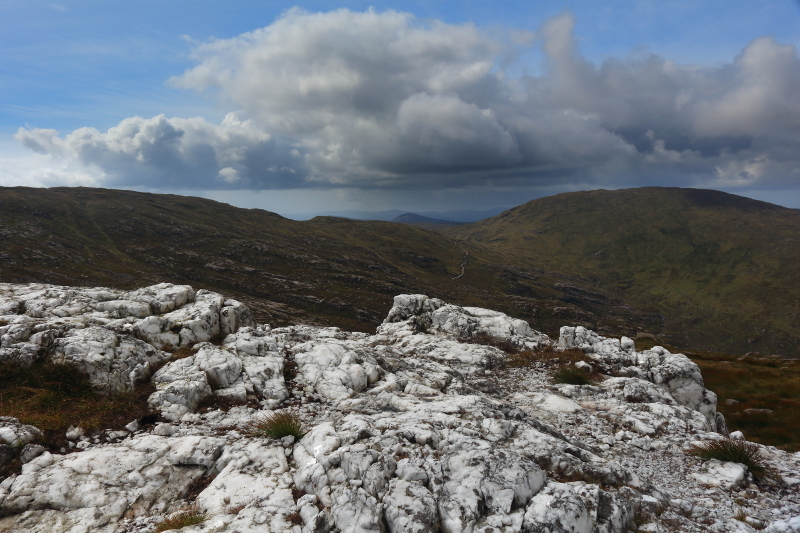 Posted in Landscape, Nature, PhotographyTagged Ardnageer, Ardnageer SW Top, Bluestack, Bluestacks, Croaghgorm, Donegal, hill walking, Hillwalking, Ireland, Lavagh More, mound, Mountain, mountains, quartzBookmark the permalink. Great pictures and interesting geology. 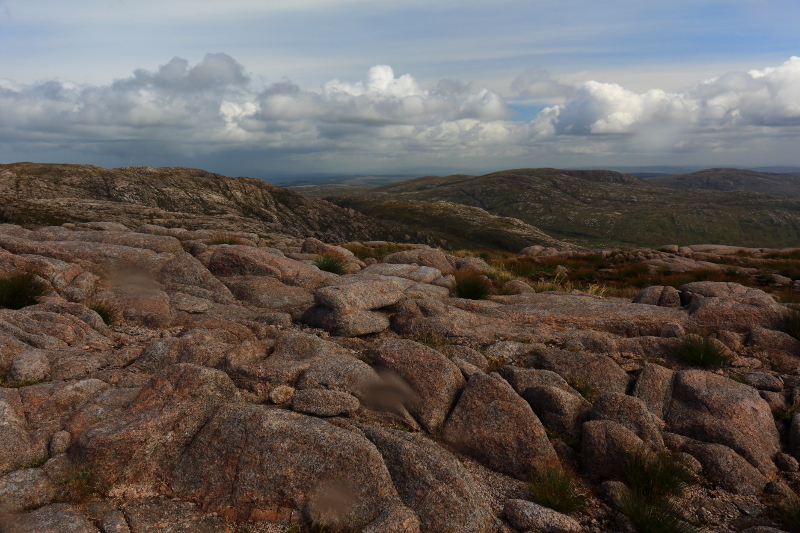 The colour of the bedrock and that mass of quartz makes me think it is igneous, maybe granite. I’m going to look it up. 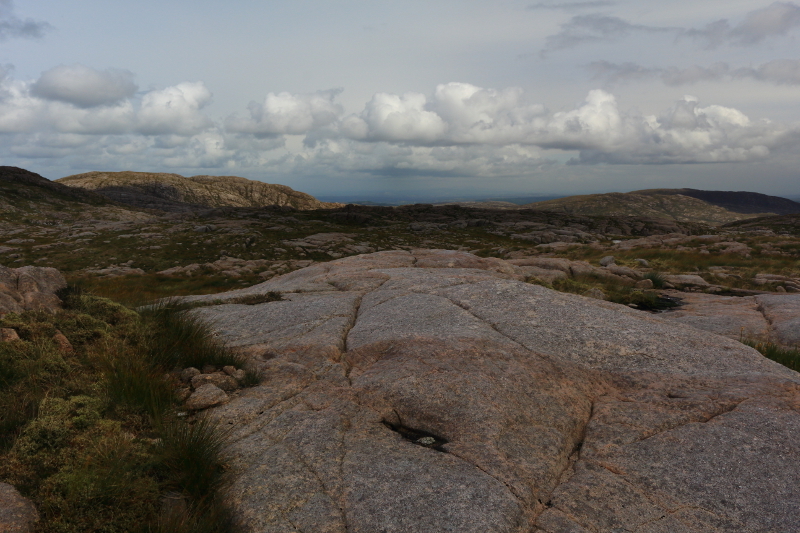 Those rocks would tempt me to make the ascent – but I don’t know whether my old joints could make it! Thanks Jessica. I found it a fascinating sight, and haven’t encountered anything like it anywhere else. Its a fairly long hard walk to get there, and its right in the middle where going back is just as far as continuing to the end. Very little online about it, though there might be more about the bedrock.